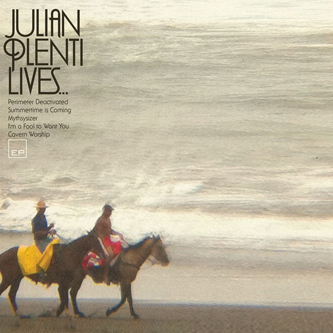 "Interpol frontman Paul Banks releases a new 5- track mini-album ’Julian Plenti Lives...’, ahead of a Paul Banks album due later this year. This release marks the first time Paul Banks has chosen to use his own name to release music. ‘Julian Plenti Lives...’ centres around the new original track ‘Summertime Is Coming’, plus original instrumental ‘Cavern Worship’ and cover versions of J Dilla, Frank Sinatra and ‘The Running Man’ movie theme (by composer Harold Faltermeyer), which demonstrate the breadth of Paul’s influences."